A chair of their very own! 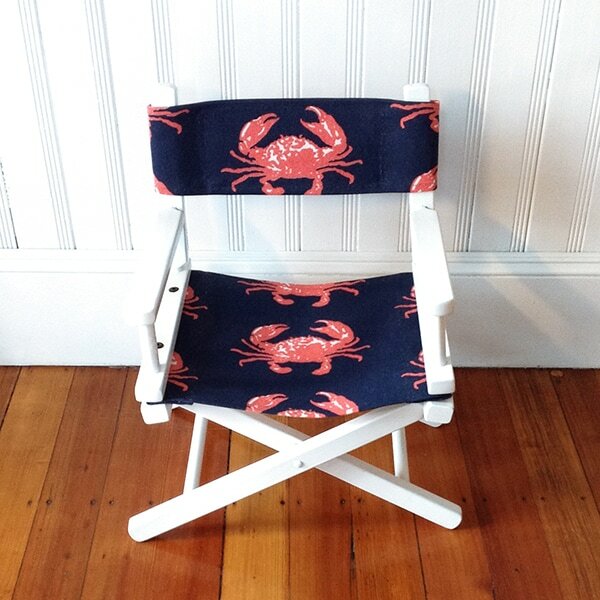 100% cotton canvas covers are handprinted with eco-friendly water-based inks in our signature Crab design. 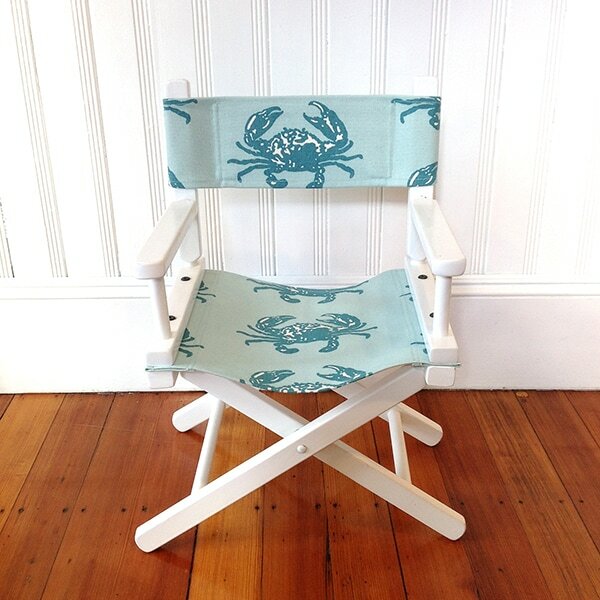 Chair frame is handcrafted of American Beech hardwood in a white finish. Light assembly required. 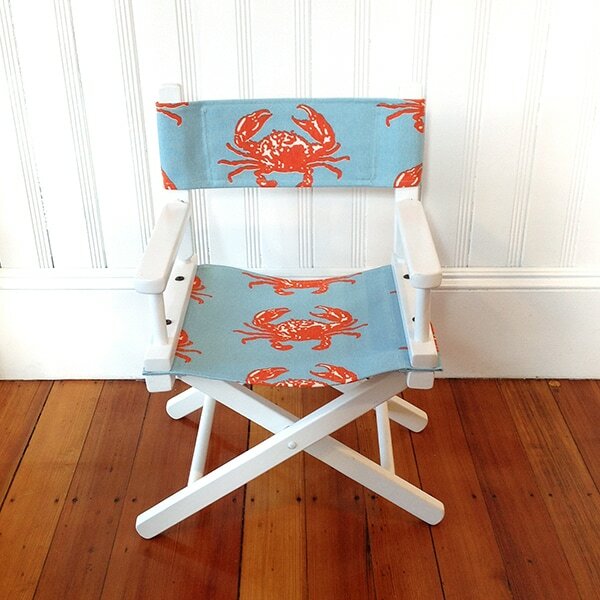 Available in adult size too - makes a terrific beach house gift set for moms, dads, and grandparents!